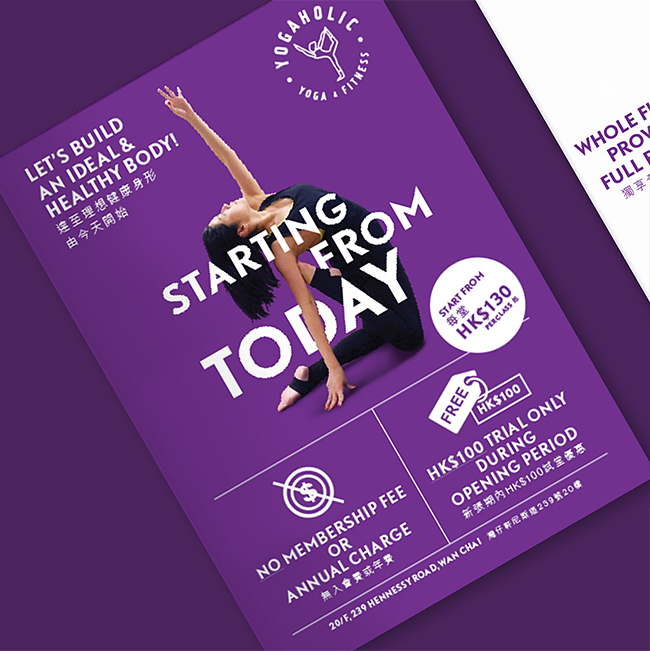 Yogaholic is a newly opened yoga and fitness center in Wan Chai, Hong Kong. 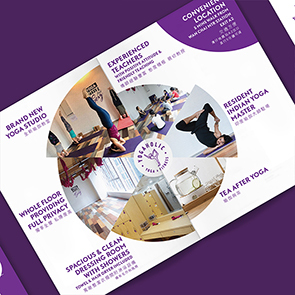 With nice environment, resident Indian yoga master and good services, they are definitely one of the hip yoga places around the area. 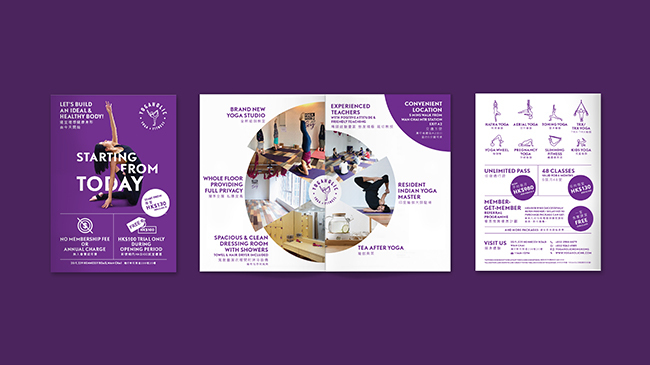 We helped out in designing the promotional leaflet for them. 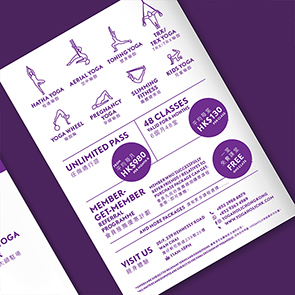 By largely using the brand colour, we wanted people to associate the purple colour to Yogaholic. 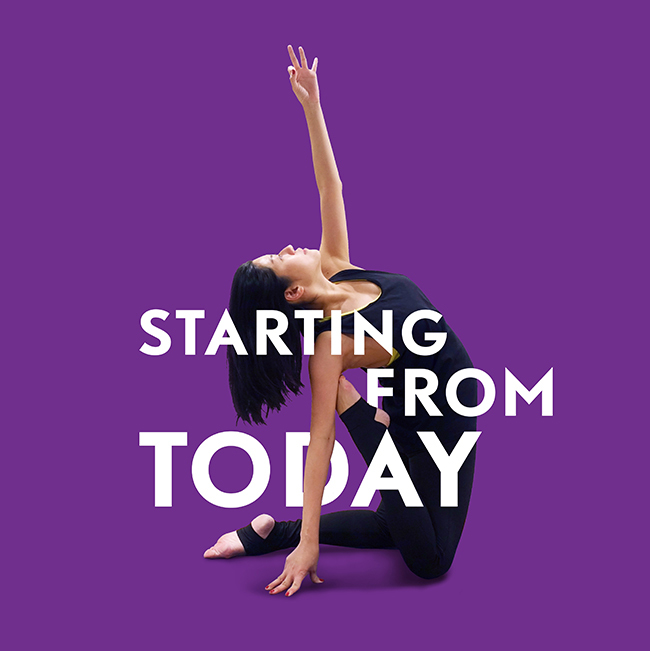 We've also created a key visual for them with the brand tagline running across a female who is doing a yoga pose to give a contemporary and hip feeling. We hope the whole look and feel can attract modern and young ladies to join their center. THE CABINET LIMITED © All rights reserved.